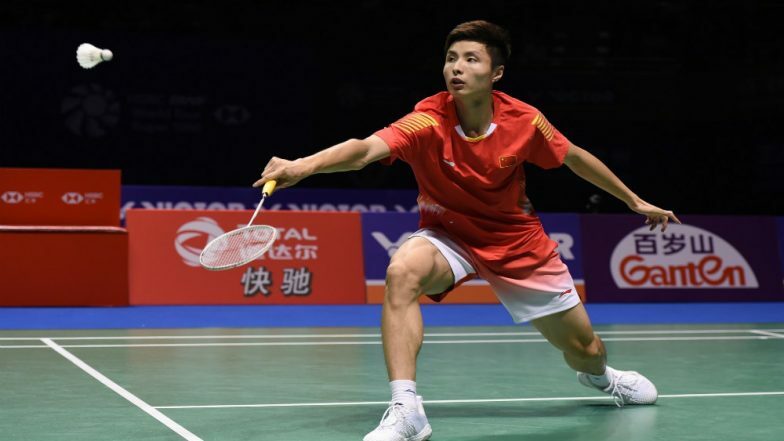 Wuhan, March 27: The first batch of competitors, featuring shuttlers from China, Japan, Indonesia and other top badminton nations, for the 2019 Asia Badminton Championships was announced, here on Tuesday. Under the tournament regulations, it is compulsory for the top 10 Asian players in each of the five categories -- men's singles, women's singles, men's doubles, women's doubles and mixed doubles -- to participate, reports Xinhua news agency. Chinese shuttlers Lin Dan, Chen Long and Shi Yuqi will play in the men's singles, where world number one Kento Momota of Japan will seek to defend his title. Chou Tien Chen of Chinese Taipei and South Korea's Sun Wan-Ho are also among the title favourites. Chen Yufei who won the women's singles gold in the All England Open Badminton Championships will represent China in the women's singles along with teammates He Bingjiao and Han Yue. They will face the likes of Japan's Nozomi Okuhara and Akane Yamaguchi, P.V. Sindhu and Saina Nehwal of India, Ratchanok Intanon of Thailand and South Korea's Cheng Chi-hyun. The 2019 Asia Badminton Championships will be held in Wuhan, China, from April 23 to 28.